Posted by Maggie the Moggie. January 18th 2019. Curious about what your cat gets up to when you’re not about? Wonder no more as with a cat tracker you can now spy on your cat whenever you like! So what are the benefits of using a cat tracker? If you have a cat who ups and leaves for days on end and then suddenly reappears, you’re probably left with lots of questions. Are they ok? Where did they go? What did they do? A tracker means you can locate where your cat is at any point of time. So you will know whether your cat has gotten themselves into trouble. Or even if they’ve just set up home with a new family. Should the worst happen, and your cat is lost or stolen, the GPS tracker can help reunite you with your feline friend. Overall, you have more awareness of your cat’s whereabouts and gives you that extra peace of mind. Another benefit of a cat tracker is you can monitor how much exercise your cat is getting. You might think your cat is fit and healthy as they like to go outside a lot. But how much exercise are they actually getting? 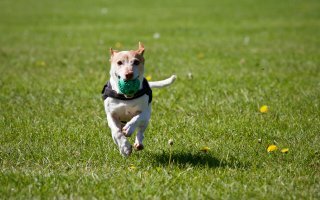 Pet trackers can monitor every little bit of activity. From walking and running to sleeping and eating, you can see it all. Some trackers even let you set goals and offer tips. So you can make sure your cat is healthy and getting the right level of exercise they need. Your cat may appear to be healthy but a tracker can help you identify any small changes in behaviour that may otherwise be missed. For example, if a tracker picks up that your cat is eating or sleeping less, this may be a sign of a more serious health condition. It might even require a visit to your vet. Identifying the problem early enough with the use of a tracker also gives your cat the best chance of your vet being able to treat them. This tracker attaches to your cat’s collar, and can be connected with your phone so your beloved pet can be located at the tap of a button, as well as having access to a record of your cat’s health and fitness levels. While a tracker can monitor your cat’s health, fitness and security, make sure you have insurance so you feline friend is protected should anything happen to them. Visit www.argospetinsurance.co.uk to find out more.